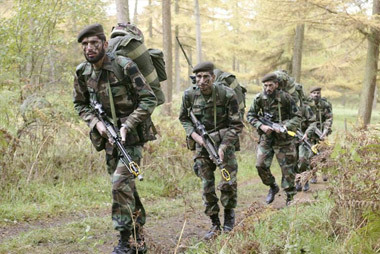 At an event organized by the British Army for world militaries to compete in toughness, with 750 soldiers participating worldwide, Pakistani soldiers bagged the Gold Medal for being the toughest soldiers capable of patrolling in the most difficult conditions. The Team was so advanced in meeting targets that the organizers requested them to slow down at times so that competing teams could catch up. No doubt our army is the best.